On the Internet, nobody knows your site is a dog (to paraphrase the famous New Yorker cartoon). At least not yet. 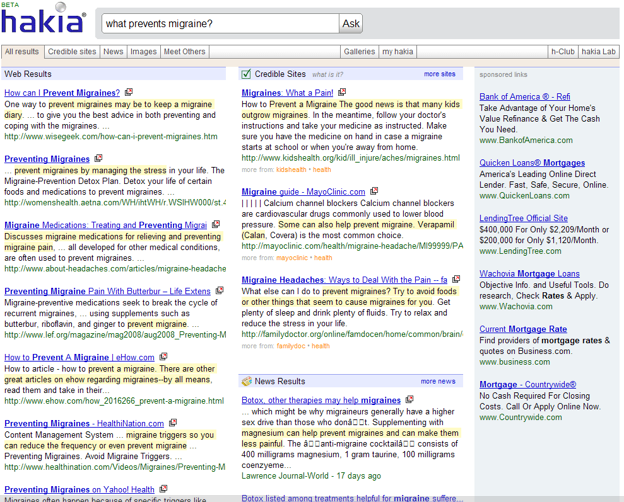 Semantic search engine Hakia wants to change that. Ask.com is not the only search engine rolling out a redesign today. 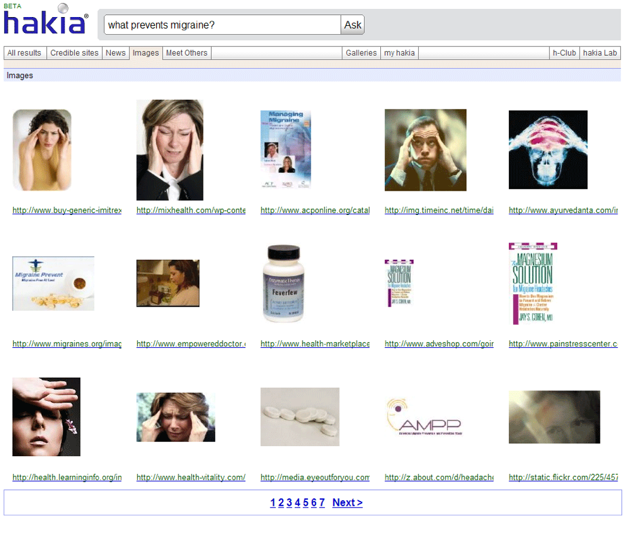 So is Hakia, which is introducing tabs to its search interface. One of the tabs is “credible sites.” These are results from sites that have been vetted by librarians and information specialists (although anyone can suggest sites). So far, Hakia has built out a directory of credible sites around health, medical, and environmental issues. The idea is if your site is a dog, it won’t get on the list. While this white-list approach could improve the quality of results, it also seems way too easy to game. Any spammer can try to get their site on the truthful and authoritative list. And they will. Hakia’s redesign includes some other new tabs as well. Namely “news,” “images,” and “meet others.” (No, this third one is not a semantic dating service. It is a social feature that lets you join groups and discussion forums around the same topics that you are searching for). The results are all based on semantic matches within each domain. (See the screenshots below). But I am not sure how much better they are than Google’s. For instance, here is Hakia’s image search results for “global warming”. Now try the same search on Google image search. In both cases, the results are underwhelming.